Join Casey (Blue-eyed-queen) along with Greg (Claudiusthefool), Michal (inkasrain), Patrick (Ser Patrick the Tall), Hannah (shadow_baby), Dana (taindana), Peter (petyrslaylish), and Paul (Serdinnerroll) as we dive into the upside-down with eggos in hand. This podcast will spoil all of season 1 and the trailers for Season 2 of Stranger Things. As the epic linear Song of Ice and Fire re-read approaches the Red Wedding, the Vassals gather to discuss the character and choices of Robb Stark. Hosts – Nadia, Tanja/Scilens, Sarah/Lady Weaver, Matt/Varley, Scott/Shaggydog, Jock/MunroJock2, Peter/PetyrSlayslish15, Marie/Nymeria. Music credits: Alpine Universe, Gene. 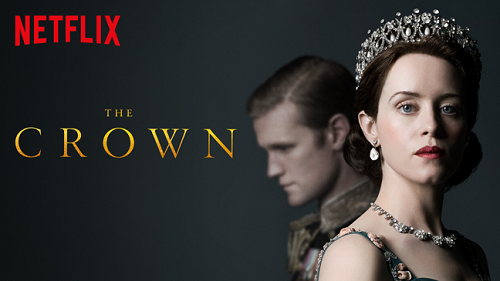 Join the Vassals as they discuss the first series of Netflix’s big budget British historical drama The Crown. Reigning monarch and editor: PetyrSlaylish15. Hosts: Varley, Blue-Eyed Queen, Alias, Shadowbaby and Nymeria. Audio excerpt and photo courtesy of Netflix. VoK 260: Theories of Ice and Fire (Vol. 2) – R+L=? In this episode, vassals Scott (Shaggydog), Brett (White Raven), Nadia, (Casey) Blue Eyed Queen and (Peter) PetyrSlayish15 pick apart the R+L=J theory and posit/shoot down alternatives alluded to in the Linear ASOIAF re-read series. Warning: Contains spoilers for all published works in George R R Martin’s ASOIAF series as well as The World of Ice and Fire. Welcome to the eleventh installment of the Great Linear ASOIAF Re-read. In this episode we cover chapters from the first half of December 298 in A Game Of Thrones. These are Jon 5, 6 and 7, Bran 6 and Dany 6, in which news of Ned’s predicament reaches The Wall, The Undead rise, Robb sets off for the South and Dany suffers an attempt on her life. Listen to the Vassals discuss the dirty sheets of the Lord Commander, the many prophesies of Jon and Sam’s horn, ooh-er missus! But remember the podcast is dark and full of spoilers for all known works in the Song of Ice and Fire series. Also the aftershow starts at 1hr 55m. The hosts for this episode are Adam (Drowned Snow); Brett (Whiteraven); Casey (blue-eyed-queen); Matt (Varley on the Forums); Patrick (Ser Patrick the Tall); Peter (PetyrSlaylish15); Scott (Shaggydog); Steve (Steveontheforums); and Tanja (Scilens). For listeners playing along at home, the next episode will cover the rest of December 298: Sansa 5, Cat 8, Ned 15, Tyrion 7 and Dany 7. Picture credit: The APOIAF Artbook of Game of Thrones, as drawn by Dani Parla Tor. Edited by Adam.